François Suhr is is ACEMM’s Spring 2019 Spotlight Recipient! Ardith Collins, a friend of ACEMM, describes her experience with an international professional development retreat similar to what participants will experience at the ACEMM 1st Annual Retreat and Jamboree at Frost Valley. March is roaring in and June will be here in no time! ACEMM is already planning for that moment when you say goodbye to the school year and blissfully push the pause button for the summer. Once the dust settles, feelings of relief and achievement are often mixed with lingering questions and ‘what if’s’ about moving ahead personally and professionally. In the spirit of being open to inspiration, seeking fresh outlooks, and engaging in thoughtful reflection to help nurture the artistic soul that impacts our teaching and personal lives, ACEMM is proud to announce that Kris Olson will be among our featured presenters at the 1st Annual ACEMM Retreat and Jamboree! The ACEMM Retreat and Jamboree will blend the beauty of nature that Frost Valley offers with meaningful collaboration with professional educators as well as create possibilities for participants to simply be together as artists and humans sharing in community music making experiences. We have loved reading about how ACEMM has positively impacted the music education community! As a way to show our affection for you, ACEMM is hosting the First Annual ACEMM Retreat and Jamboree at Frost Valley! From Monday, June 24 through Thursday, June 27, 2019, ACEMM will be hosting a getaway at the Frost Valley YMCA Camp located in the Catskills Mountains in scenic Upstate New York. 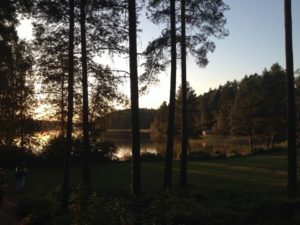 During this retreat, participants will have the opportunity to truly immerse themselves in nature and get back to the elemental roots of their musicianship. Read more on our website by following the link! Casey Goryeb brings her talents to ACEMM! We are thrilled to announce that Casey has joined our Board of Trustees and look forward to the many possibilities and passions for students, teachers, and community music and movement organizations that we will be able to positively impact together. ACEMM Welcomes David Thaxton to Board of Directors! David Thaxton brings his gifts and vision to ACEMM Board of Directors! We are thrilled to announce that David has joined our Board of Trustees and look forward to working together to help create exciting new opportunities for elemental music and movement! Ian Cicco is ACEMM’s Winter 2019 Spotlight Recipient!